CupFone Universal Adjustable Cup Holder Car Mount for Cell Phones. Allows full access to all the features of your phone, including the microphone or audio jack, without removing the phone from the mount. Adjustable and Rotatable to the optimal angle. 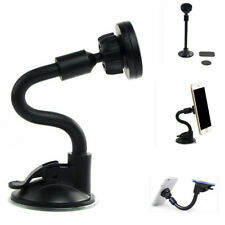 1 x Universal Car Windshield Mount Holder Bracket. Windshield Mount Holder. Powerful vacuum suction cup base safely and securely mounts your device to the car windshield. Powerful Magnetic Force: The strong magnetic holder can attract and hold your devices in place, even when angling is being adjusted. 1 x Car Magnetic Mount for Phone. 360 Degree Rotation: A flexible ball joint allow you to adjust the phone to any position and angle you want, with just one hand. 3 It utilizes a special adhesive rubber to fasten electric devices securely. (The adhesive performance may vary depending on ambient conditions and surfaces of the object. 5 The silicone pad provides a smooth and flat surface which can be adhered to the flat back surface of the supporting object. ). UGREEN Wall Mount Phone Holder Phone Charging Holder Wall Dock for iPhone, Cell Phone, iPad, Tablet or Smartphone, White. Conveneint Use of Ugreen Phone Holder Wall Mount While Charging. Ugreen wall mount phone holder can give your phone and tablet a safe dock while charging.